Our subsidiary Baltic Data Science (“BDS”) has formally been appointed by WFP to support them on the scale-up of the Building Blocks project. We are very proud to announce that our close development partner and Polish associated company BDS has formally been appointed by the World Food Programme for the further roll-out the existing Building Blocks platform. At the beginning of the this year, we together with our partner BDS started to build a blockchain-based proof-of-concept for WFP and transformed it into a fully-functional blockchain-based transaction platform in Jordan. The inhabitants receive food vouchers that can be used in the village’s supermarket. So what are the benefits compared to traditional transaction payments? 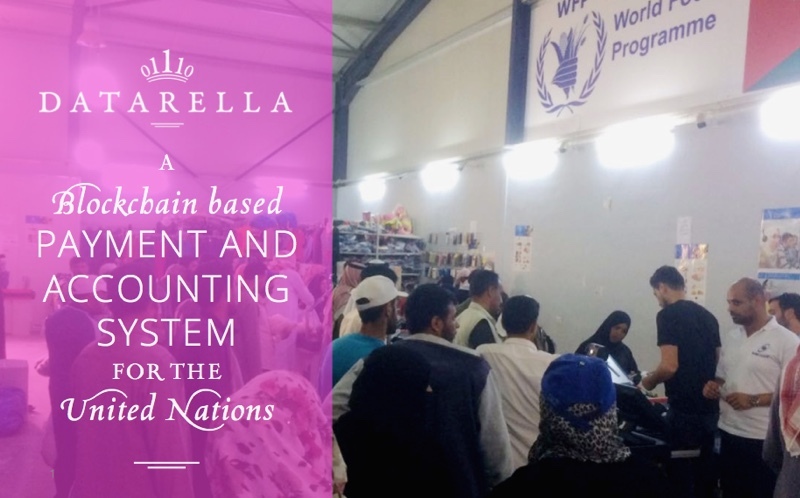 Thanks to the blockchain technology, our innovative system provides higher transparency of aid accounts for beneficiaries and easy tracking of transaction which helps to lower the effort of bookkeeping for vendors and WFP. The biggest, however invisible, advantage is a minimized risk of fraud or data mismanagement. We are excited to follow the next phase scale-up of the transaction platform and want to thank WFP for their trust and wish both partners a successful roll-out. If you want to learn more about our services or specifically this project, please contact us at info@datarella.com or BDS at info@balticdatascience.com. The United Nations World Food Programme "WFP", with its headquarters located in Rome, Italy is the world's largest humanitarian agency fighting hunger worldwide. WFP is mandated to deliver the food necessary to save the lives of victims of natural disasters, wars, and civil unrest. On average, WFP reaches more than 80 million people with food assistance in 75 countries each year. About 11,500 people work for the organization, most of them in remote areas, directly serving the hungry poor. WFP is part of the United Nations (UN) System. Headquartered in Gdansk, Poland, BDS is an international data science and blockchain development company specializing in business-focused solutions. BDS develops data-driven applications (mobile/desktop frontends and backends) for international customers as well as blockchain-based applications.